A bit more work is needed on a couple of them but I will let it slide for now. 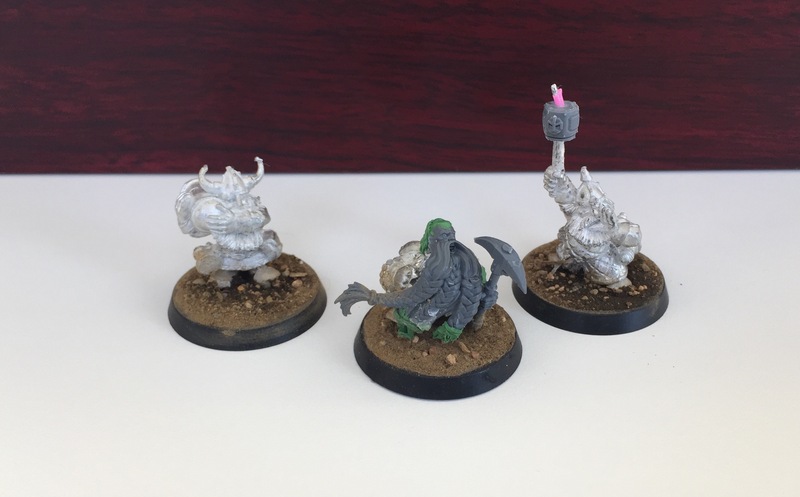 Simple but does the trick and they fit sculpt-wise very well in with the rest. 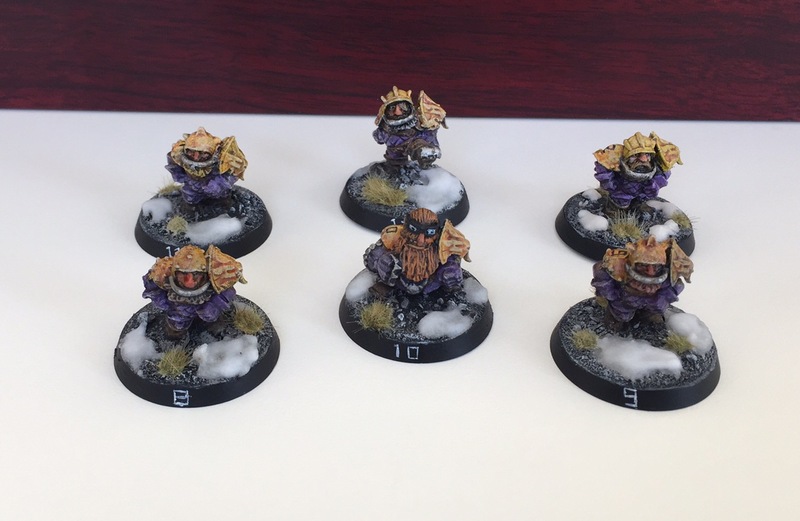 Great looking dwarf team thus far! I love the color scheme you decided on. The muddy, orange-yellow works really well with the purple. The faces look nice too, the hint of red works well and makes them look like they in the midst of a heart-pound game! Nice to see you are working on Star Players too! The one with the pick axe is my favorite.